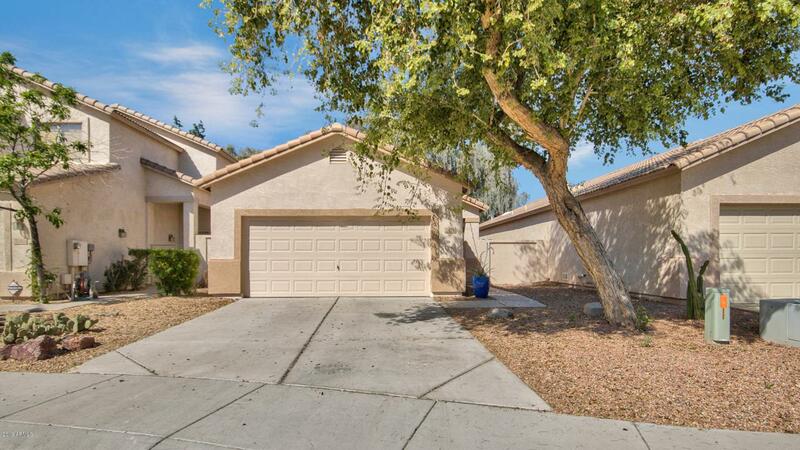 Beautifully updated home centrally located in Chandler. Bright family room with soaring vaulted ceiling opens to eat in kitchen. Kitchen features granite counters, stainless steel appliances, refinished cabinetry & undermount sink. Split floorplan with one room off the entry and master retreat with walk in closet, dual vanity, and custom tile walk in shower. Other upgrades include fresh interior & exterior paint, updated light fixtures, fans, and hardware, and wood-look tile throughout. French door off kitchen leads to backyard with low maintenance landscaping, patio, and fenced side yard. Community boasts pool, walking paths, and children's play spaces. Great location near restaurants, tech corridor, shopping, freeways, and all Chandler has to offer. This one won't last!